We offer this video in both DVD and online streaming format. To view the streaming version, add this title to your cart and complete the checkout process. Once your order has been processed, the video will appear under "My Account" and "My Videos." Please note that you will need an internet connection to stream the video. Please contact us at 1-800-327-2520 or toolworks@lie-nielsen.com with any questions. Enjoy! 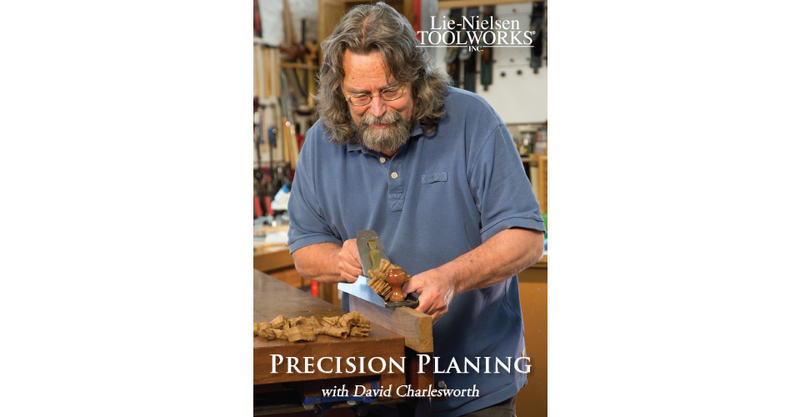 This video is an updated version of David’s 2005 DVD on Hand Planing. Filmed at his shop in Devon, England, David demonstrates his simple methods for planing all six faces of furniture-sized components. Learn how to achieve straightness, squareness, and precise thickness with a well-tuned, sharp hand plane. 110 minutes, DVD. Copyright ©2016, Lie-Nielsen Toolworks Productions. Made in UK and USA.